Explore new horizons with Karthika Hairwash Powder. It is filled with a healthy balance of traditional and natural ingredients like Shikakai and Hibiscus. It gently cleans and conditions your hair, making it healthy and mesmerizing. Go about your day knowing that you never have to fret about dull, lack luster hair. 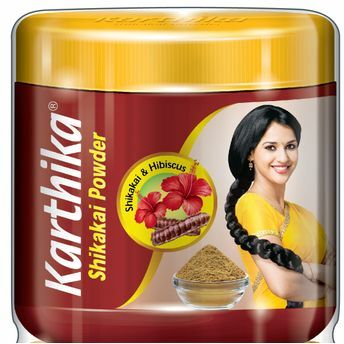 Karthika Hairwash Powder makes it radiant and exquisite.